Secretary of State for Colonies, London. known conditions on Persian side. 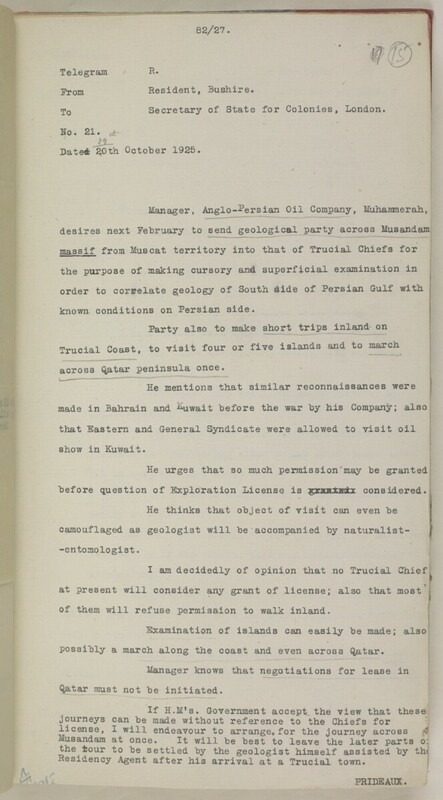 before question of Exploration License is considered. of them will refuse permission to walk inland. possibly a march along the coast and even across Qatar. Qat a r must not be initiated. Residency A diplomatic office of the British Government established in the provinces and regions considered part of, or under the influence of, British India. Agent after his arrival at a Trucial town.